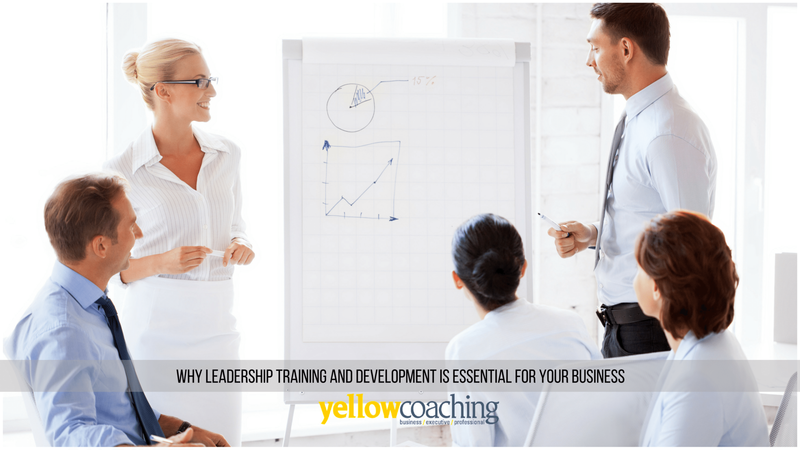 Are you one of those still doubting the need for training and developing the leaders in your company? You might argue that leadership training and development does not come cheap. And that your organisation has bigger issues to tackle, and money should be allocated on those rather than on training. But I advise you to look at those areas where you are struggling. Chances are, it will lead back to how your organisation is being controlled and guided by its leaders. Good leaders and how they manage and motivate their employees are critical in the success and growth of a business. That is why you should treat leadership training and development as an investment and not just as an additional cost incurred by the company. 1) For improved profits. Training leaders in your company will lead to better bottomline figures. This is because of the clear link between effective leadership and customer satisfaction. And satisfied customers keep coming back. As such, good leadership leads to financial gains. 2) For better performance. Poor leadership practices lead to a drag in employee performance, leading to sluggish results when it comes to customer satisfaction. In this fast-paced world, and with so much competition in the business arena, you should not remain stagnant and resistant to change. Saying yes to leadership training and development should be one of your priorities. If the leaders your employees turn to are highly trained, your workforce will be more motivated to perform well. Well-trained leaders will lead to a driven and passionate workforce. Training and development of leaders will bring out the best in your employees. They will be focused, efficient and more effective in addressing day-to-day work. 3) To build a competitive edge. If you do not want your business to be stuck where it is, you need to focus your goals on growth and expansion. You need to constantly keep up with changing times and a competitive environment by boosting your own edge. In order to develop these strategies, first take a look at your own strengths, weaknesses, opportunities and threats. Proper leadership training and development allows you to reexamine how you can effectively manage your business, specifically how you run things inside the company and its effects on how you transact with your customers. 4) For employee retention. Various business research has proven that there is a correlation between a company’s leadership structure and operation and employee motivation and retention. Studies reveal that the most common reason employees leave is not because of stresses of work, but because of the people – particularly the managers and leaders – those in authority. If you want your people to stay, then you should invest in good leaders. With so many issues going on in your business, training and development might be the last of your worries. But if you do not take this crucial step in your business, you might lose out on new knowledge and potential learnings you will acquire that will eventually bring your business more success. In the short term, you might need to invest time, energy and money on leadership training and development, but in the long run you will surely gain a lot more than you have invested. Let Yellow Coaching help you. An expert business coach will help you run your training and development programs smoothly and effectively. Contact us today.